Can Osprey’s new lower budget range of backpacks match the performance of the brand’s top-end products? Osprey has become the go-to brand for those with cash on the hip and performance in mind. But during these times when we all want to tighten our belts a little, can a brand with such a pedigree in design work its magic at lower price points? Osprey’s new Rook 50 and Rook 65 for men and the Renn 50 and Renn 65 for women have been released to take up that challenge. 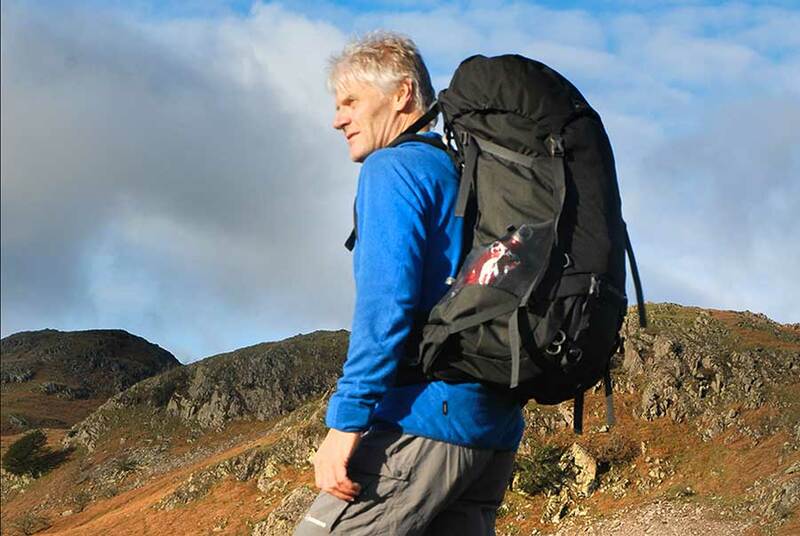 The packs are designed to be the best in their price range and at £120-£130 they are some £60-£70 less than Osprey’s well proven Atmos AG 65 (£190) and also the lowest priced 65-litre packs in the brand’s range. 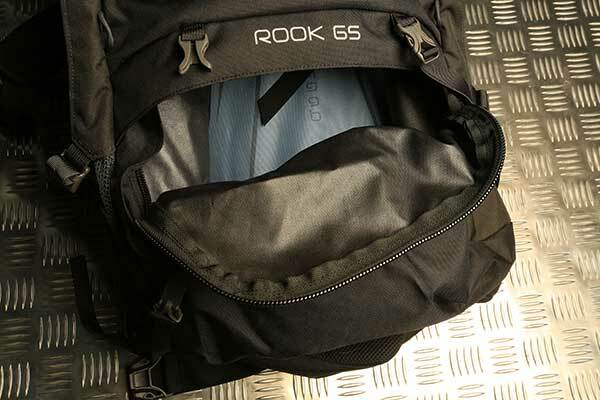 I’ve been testing the men’s Rook 65 over the past couple of months before it was released in store for January 2019. The range is built for backpacking, and to improve comfort the backsystem uses an adjustable Airspeed ventilated mesh, so the body of the pack is held away from the wearer to allow more airflow. The packs all come in one back length, but you can raise and lower the shoulder straps over a range of 13cm by slotting a metal hook into one of four webbing loops. This is incredibly easy to adjust, although I did also manage to disengage the metal hook quite easily, so some care is needed when cramming the pack into the boot of a car for example and you need to make sure the hook remains in place when you put the pack on. Get the pack on and the trampoline mesh panel is instantly comfortable and really sets this rucksack apart from many others at this price point. The hipbelt and shoulder straps are well-padded and comfy, although these are a little firmer than the armchair bliss of Osprey’s top-end packs. There are no hard spots or areas that dig in – again this is something that few lower-priced packs manage to achieve. 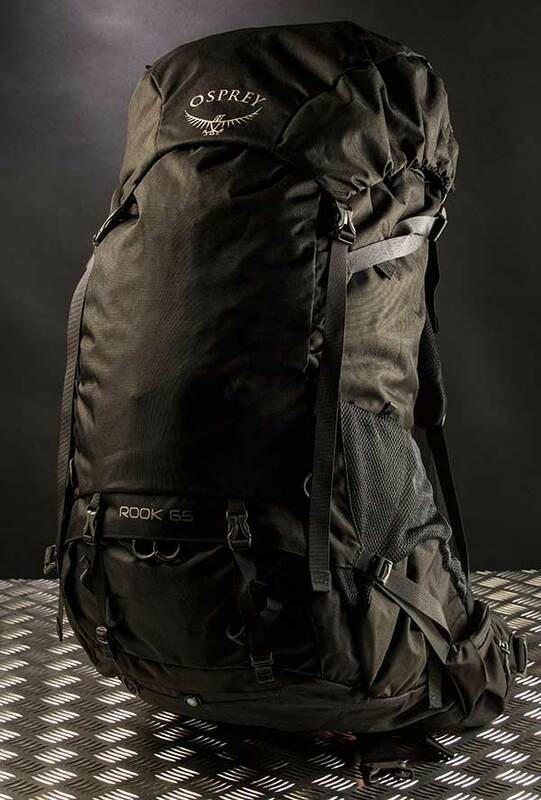 The pack is very stable on the back, though might benefit from a touch more freedom of twist between hip and shoulders to allow a little easier movement, but again I am comparing this to Osprey’s top-end packs as when compared to others at its price this feels great. Inside you’ll find a good main compartment with a fixed lid and a massive outside lid pocket. For me this is near perfect, although I would like an additional zipped security pocket on the underside of the lid, as I find these are great for small items such as car keys. There is a lower zipped access to the bottom of the main compartment and a removable divider between the top and bottom of the main compartment, and this all works fine. On the outside, mesh side pockets and compression straps are great for stashing a water bottle, trekking poles or tent poles. It would be nice if the compression straps had quick-release buckles to make them easier to use when stowing items on the side though. Also these days we have got so used to stretch front stash pockets on Osprey packs that it is a surprise not to see one provided. But again these details no doubt all save a few pennies, and plenty of Osprey packs have all these little details if you want to pay more for them. The materials used are generally pretty tough too, with a heavy gauge 600-denier polyester forming the main body. This won’t be as durable as a nylon, but for general use this should not be an issue of concern either, with only the hardest of users needing to consider more durable packs. In terms of weight this pack tips the scales at 1630g, so is far lighter than many 65-litre packs at any price. This is certainly very respectable, although again if you want a very low weight pack then check out some of Osprey’s higher-priced designs that are intended specifically for those needs. This is actually exceptional for the price, as it is lighter and more comfortable than many packs of similar value and there is very little wrong with it, so for my money offers stunning value for what you are getting. The Rook 65 isn’t as comfortable or well-featured as Osprey’s higher-end packs, but at this price is far better than much of the competition and only those wanting the absolute best features need pay more. Excellent value rucksack that proves that Osprey is not only capable of making great packs at any price, but it can come up with the goods on a tighter budget too. pick up a copy of the current issue of Trail magazine!